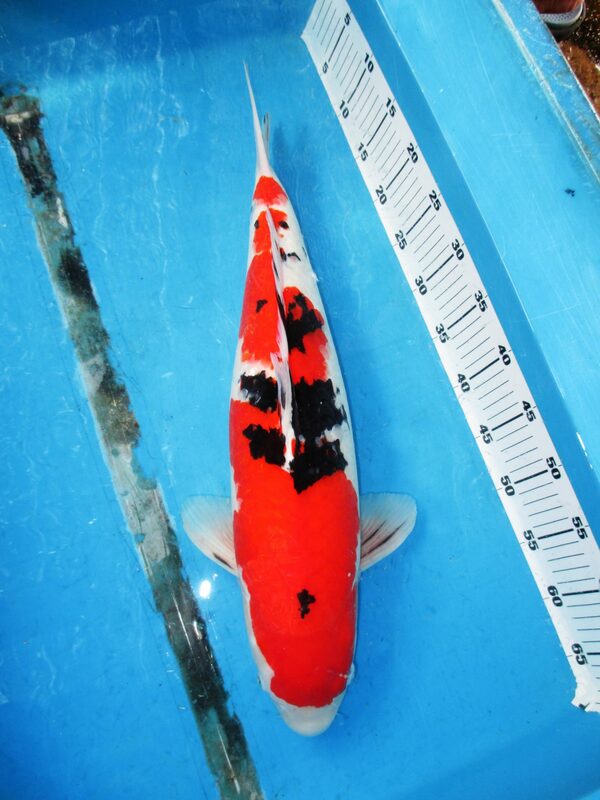 Marugen Koi Farm is pleased to present this beautiful Taisho Sanke, an Adult Champion at the 3rd Shinkokai Malaysia Wakagoi Show 2013, 1st Prize (60BU) at the 18th Singapore Koi Show & Championship 2014, and most recently 1st Prize (60BU) at the 5th Nishikigoi Home Of Asia Show 2014, available for sale at Marugen Koi Farm in Singapore. Bred by Sakai Fish Farm, this lovely Sanke is an offspring of “Big Rose”. Interested to view this lovely prize winning Sanke, please fill in your contact details below, and we will contact you soonest possible to arrange an appointment to visit our farm.